Really Slow VPN Speed on Ubuntu 14.04 Droplet? I have an Ubuntu 14.04 droplet configured to manage several services, among them a VPN. The VPN works but it is often slow and will sometimes randomly disconnect me, is there a reason why? I'm using UFW by the way. 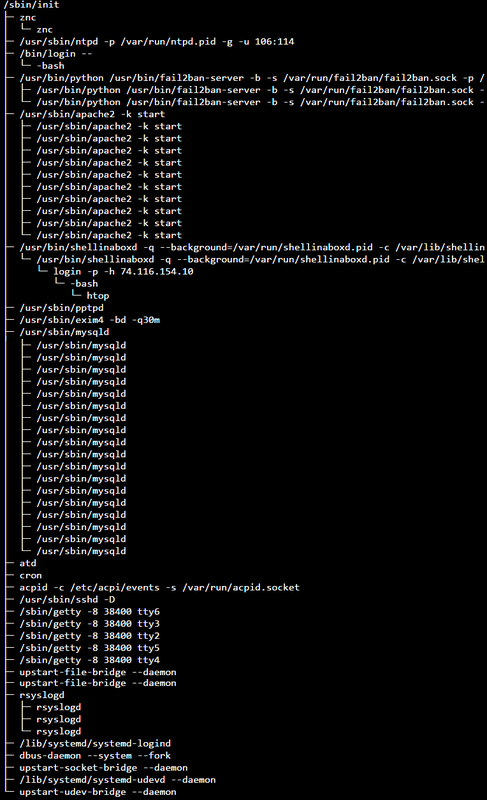 These will tell me the top 6 processes, based on CPU (first command) and RAM (second command). From there, I can help you investigate what's causing the bottleneck further. At the time of running the script, nothing was amiss, so I guess the next place to look is the log files. I see you're running mysql and znc (an IRC bouncer). Are you also running an IRC server on that box? Do you know the location of the log files for the VPN software you're running? If not, can you tell me all the software you're running (IRC server, VPN server, MySQL version [if not default from the standard repos], etc., so I can find documentation on the location of the apps log files. If you know the log file names, run "tail -40 LOGFILENAME (changing LOGFILENAME to the path of the log file)" and pasting them here, so I (and others) can assist further. I have an irc bouncer running as a service but am not hosting an irc server, except I could never get the upstart script to work properly and loading it fails on boot with it, I should probably delete it, so instead I just have it run the command to start the bouncer on login. I have owncloud, mariadb, ZNC, shell in a box, ssh, and a VPN all configured on it. I do not know anything about log file locations. Here is the process tree, if it helps.